This Shiney Miss tops Zoetis AQHA Ranching Heritage Challenge in Abilene. Taking the 4-year-old class was perennial top rider Lanham Brown and This Shiney Miss. Texas cattle and horseman received prestigious livestock honor. WORDS & MEDIA by JOHN DALE + ILLUSTRATIONS by HUNTER ASH. - I found myself struggling to keep my eyes open as I stared at the sunrise gleaming off the courthouse in Throckmorton, Texas. This was just after my 5 AM alarm (which came way too early), on the heels of the previous day’s 10 hour drive from Colorado (which was way too long). With a smooth and powerful run, Matt Koch guided Opus Cat Olena to a 151.5 score in the 4-year-old working ranch horse class at the Zoetis AQHA Ranching Heritage Challenge held September 15-16 at Amarillo, good for a win in the class. WR This Cats Smart mare tops Pueblo Zoetis AQHA Ranching Heritage Challenge. A mare bred by Zoetis AQHA Best Remuda-winning ranch Wagonhound Land and Livestock and owned by Best Remuda-winning R.A. Brown Ranch of Throckmorton, Texas, topped the open 4-year-old working ranch horse class at the Zoetis AQHA Ranching Heritage Challenge held August 30 at Pueblo, Colorado, earning a cool $2,550 check. Ranching Heritage-bred RAB Go Pep Hancock collects another award. RAB Go Pep Hancock was named Top Horse at the Working Ranch Cowboys Association Wild Horse Prairie Days ranch rodeo in Haskell, Texas. Bred by the R.A. Brown Ranch, a Zoetis AQHA Ranching Heritage Breeder and Zoetis AQHA Best Remuda winner, this 2005 sorrel gelding by Gold Peppy Freckles performed well for his owner, Lanham Brown of Throckmorton, Texas. Texas cattle and horseman to receive prestigious livestock honor. R.A. “Rob” Brown, Jr. of Throckmorton, Texas, has been selected as the 2018 inductee into the Saddle and Sirloin Portrait Gallery. 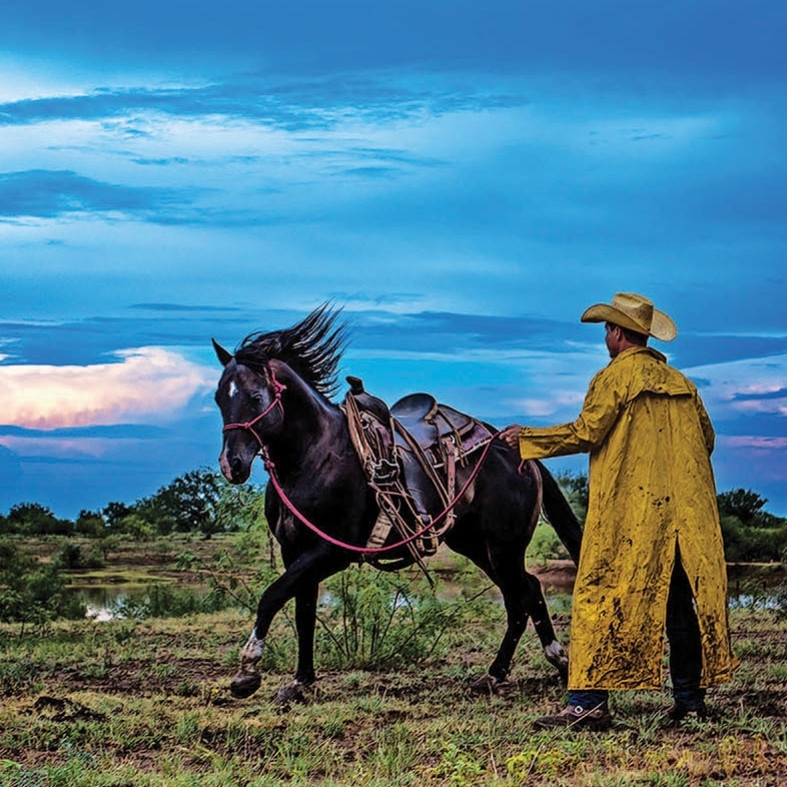 He represents the fourth generation of the Brown family ranching legacy in Texas. 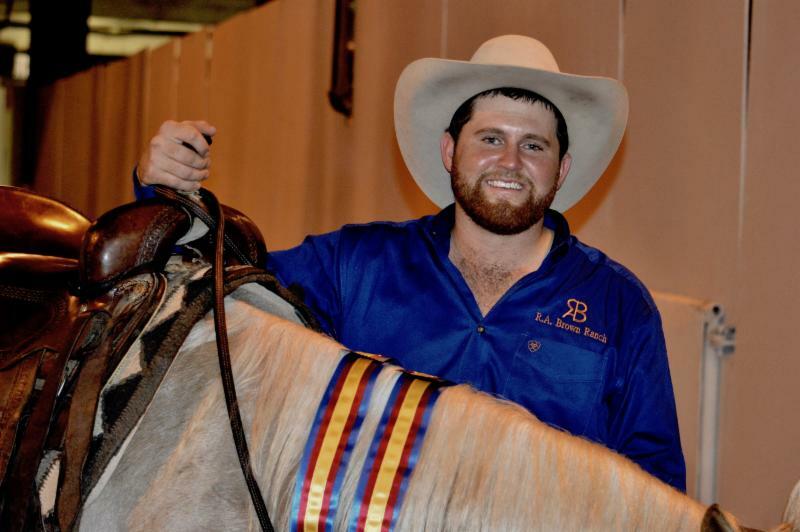 Cavender's - Congratulations to Myles Brown, the Limited Open Champion of Futurity! He will continue to do big things. Take a look at how he prepared. BIF President Donnell Brown says seedstock producers must remain focused on the needs of the commercial industry. World champions Take A Pick and Lanham Brown continue their winning ways. 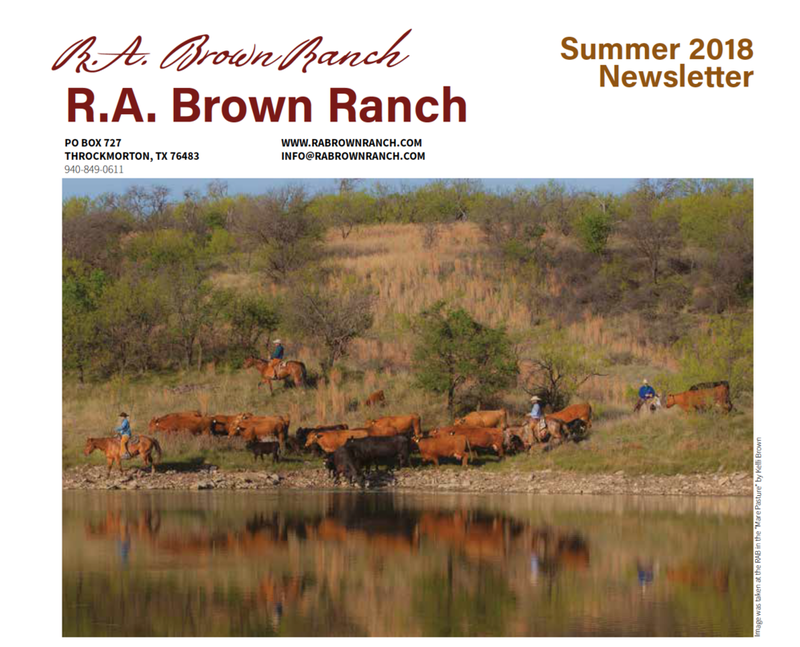 The patriarch of the R.A. Brown Ranch in West Texas embraces science, technology, and business diversification to maintain his cattle dynasty’s improbable longevity. Fort Worth Stock Show: Opportunity, added money, and family heritage drew exhibitors to the Fort Worth Stock Show.